The Maine Island Trail awaits you. Paddle among eagle, osprey and seals by day and be lulled to sleep by buoy bells at night. 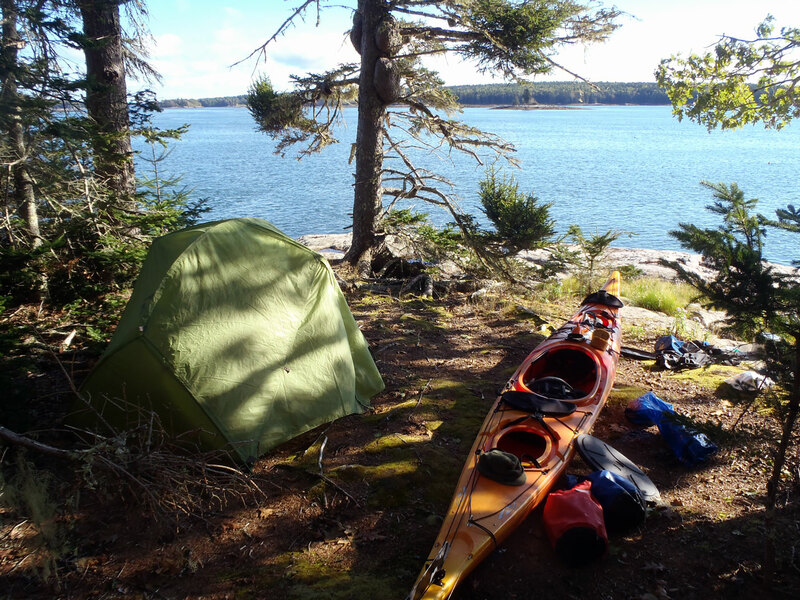 Maine Kayak’s Island Camping Overnight Trip offers the opportunity to enjoy paddling the majestic Maine coastline with an added night spent under the stars on one of Maine’s beautiful secluded coastal islands of the Maine Island Trail in Muscongus Bay. Basic paddling skills, boating technique, and safety will be taught before enjoying a day of kayaking the open sea to a remote island destination on the Maine Island Trail. A full gourmet meal is prepared ocean-side and enjoyed al fresco while watching the gorgeous sunset. Awake to freshly prepared wild Maine blueberry pancakes and French pressed coffee at sunrise in preparation for another day of paddling along the Maine Island Trail in Muscongus Bay. Enjoy a real Maine lobster bake on a working waterfront dock overlooking Round Pond Harbor before heading out to finish the your sea kayaking adventure in Maine. All camping equipment (except personal sleeping gear – available upon request) is provided and your guides’ cater to your every need. Requirements: Minimum of 3 or more people to start a trip or you can join an existing scheduled group.